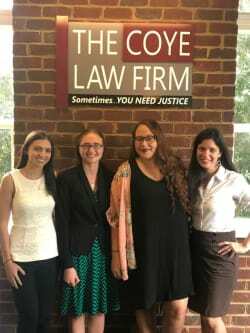 The Coye Law Firm Just Got Two New Attorneys! Congratulations to Corinne and Stephanie, who took an oath and were sworn in to the Florida Bar recently by Attorney Amber Williams. Stephanie Torres began working for my firm as an undergraduate, and worked her way up through various departments. She is interested in working in children's rights and criminal law, and she has a passion for advocating for and impacting the lives of children put through the foster system. Corinne Huston started at the Coye Law Firm in May 2016. She has been instrumental in the Family Law department and has helped with many adoptions. During her last year at the University of Florida, she represented indigent clients in family law cases. 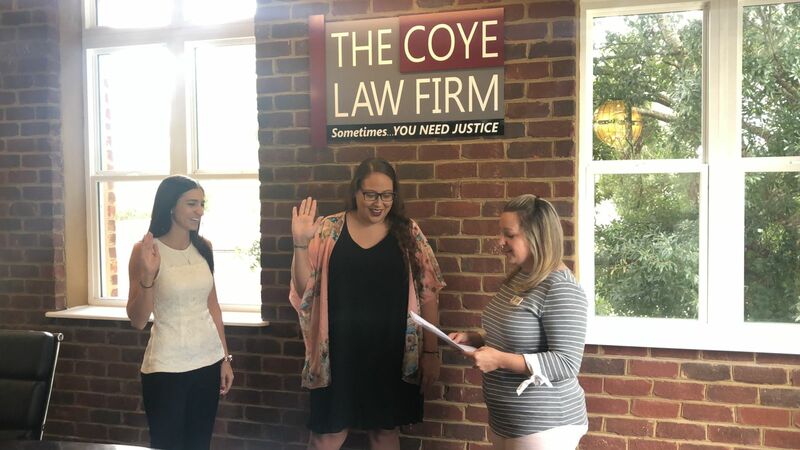 Both of these young ladies have bright futures, and on behalf of everyone at the Coye Law Firm, we wish you the best of luck in all your future endeavors!